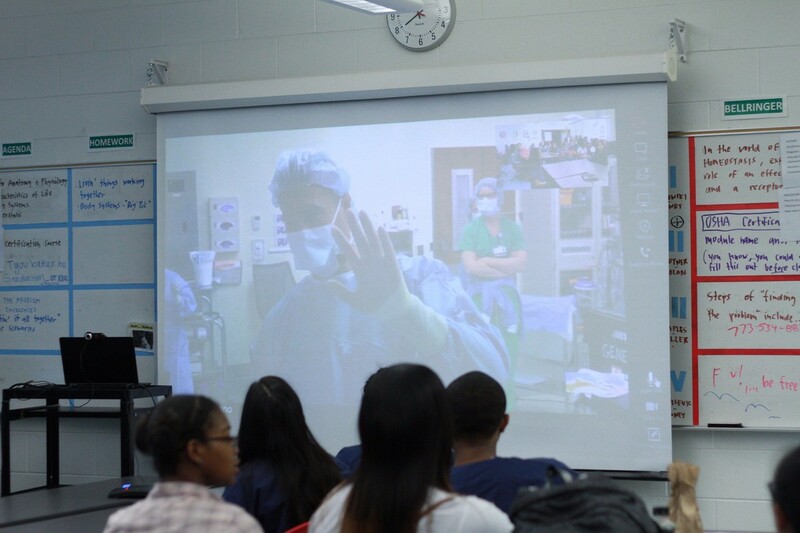 The distance learning lab at George Westinghouse College Prep provides Northwestern Medicine Scholars with truly unique opportunities to participate in various distance learning sessions associated with the medical field. 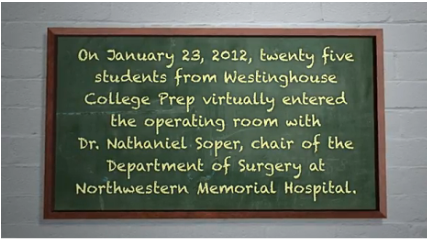 The scholars are able to walk into one of their classrooms, take a seat and immediately become part of a live surgery viewing, narrated by one of Northwestern’s leading physicians. Scholars participate by asking questions and receiving responses on the spot while safely observing from a classroom setting. 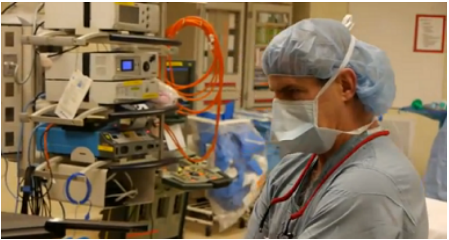 Watch this live surgery broadcast that brought Northwestern Medicine Scholars from their high-school classroom into the operating room. Before surgery, Northwestern’s Dr. Soper talks over a monitor to students located at Westinghouse’s distance learning lab. 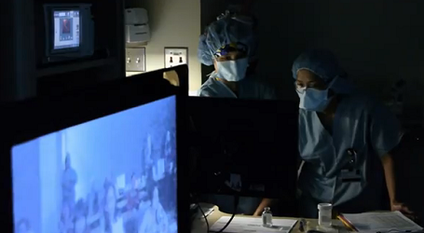 Northwestern Medicine Scholars seen on monitor watch from the classroom as the operating room (OR) team prepares for surgery. 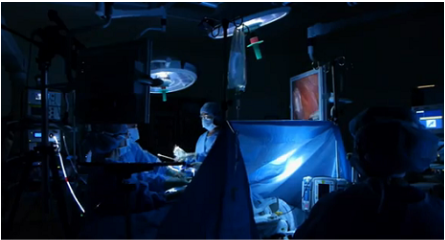 Northwestern Medicine Scholars engage with Dr. Soper and the operating room (OR) team during a live laparoscopic surgery, while seeing the same views as seen over an OR monitor. In June 2017, Dr. Alexander P. Nagle hosted a distance learning session while performing a laparoscopic gallbladder removal surgery. 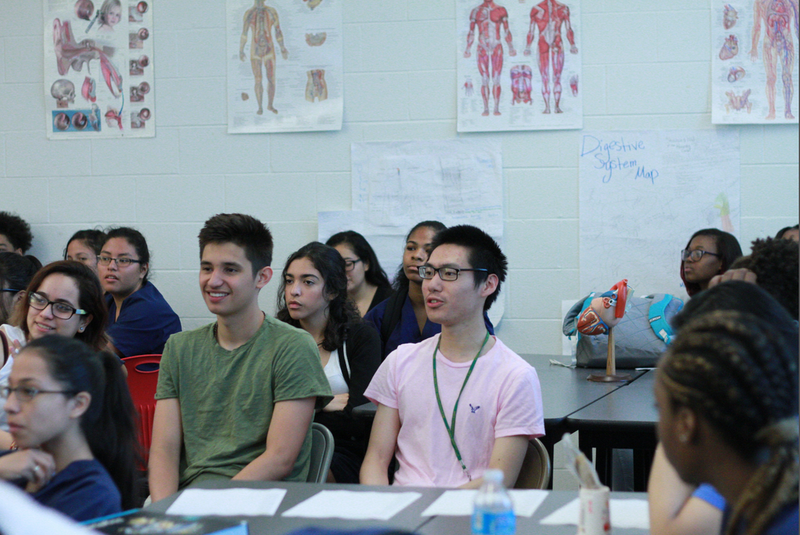 NM Scholars and Health Sciences Academy students at Westinghouse enjoyed participating the in distance learning event with Dr. Alexander P. Nagle in June 2017. NM Scholar, Qimin Hu, participates in the ongoing discussion.